Ganesha is widely revered as the remover of obstacles. 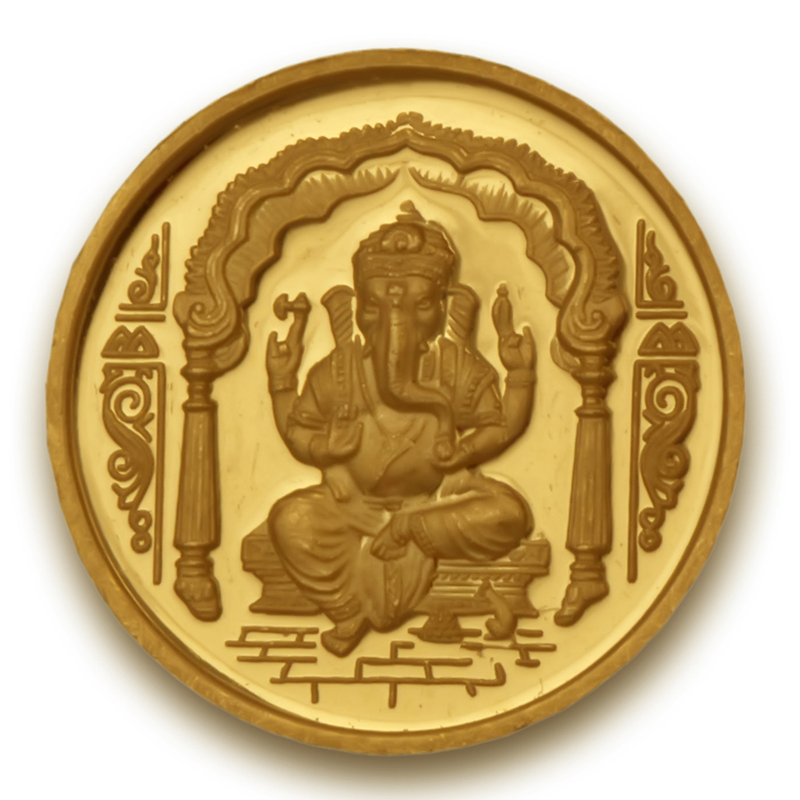 This gold coin etched with Lord Ganesha on one side and the powerful sacred 'OM' on other side is a lucky asset to own and perfect for gifting on important occasions of loved ones. This 24K gold coin comes in 995.0 purity.